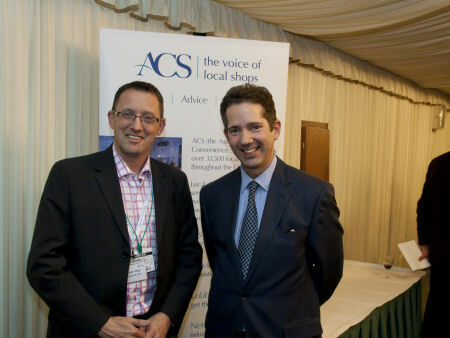 On Wednesday 22 November, Jonathan Djanogly MP met with local retailer Steve Male of Budgens, St Ives at the Association of Convenience Stores’ Heart of the Community reception to discuss the future of his store in St Ives under the spotlight of the Government’s planning reforms. Jonathan Djanogly MP said: “Steve Male is a fantastic example of a businessman offering an indispensable service to the community. It’s essential that in our capacity as MPs we support the causes of local shops in Westminster – they really are at the heart of communities and Government must to everything they can to ensure that they succeed in this difficult economic time. This year’s event featured Communities and Local Government Minister Bob Neill and Shadow Secretary of State for CLG Hilary Benn discussing the new National Planning Policy Framework and its impact on retailers.